The BMU-cradles and Modular Suspended Platforms (MSP) are designed for efficient access for even the most complex buildings in the world. Rostek BMU cradles work perfectly with Rostek monorail and roof trolley systems, but they can also be suspended from davits or gantries. 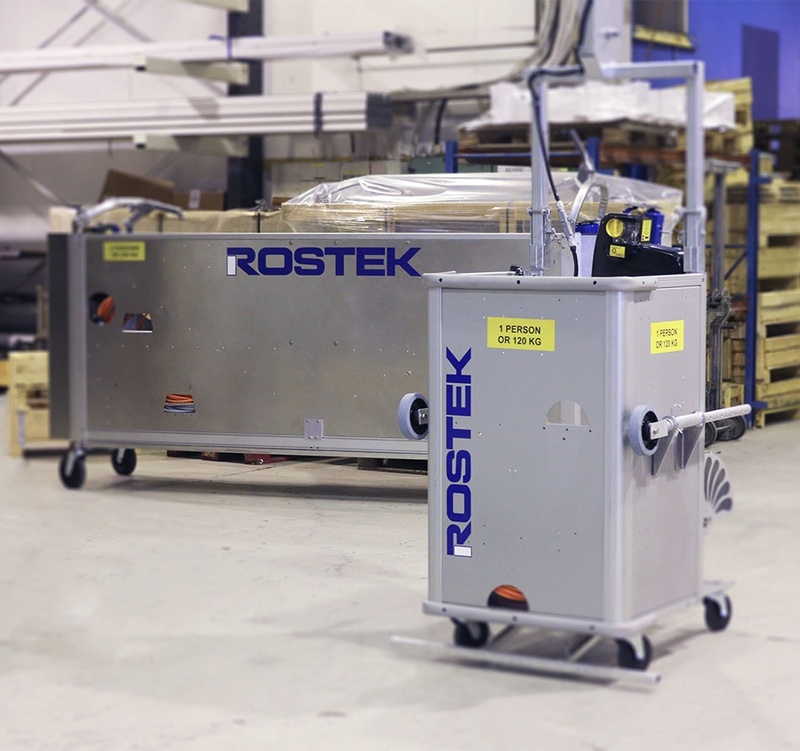 Rostek BMU cradles with one or two hoists meet and exceed the requirements set by European Standard EN1808 for permanently installed access equipment. Our cradles are constructed to the highest standards of quality to ensure reliability and durability. We also fulfill the US requirements for ASME A120.1, OSHA 1910.66 as well as the New York Advisory Standards 101 and 111. Lightweight, high-grade aluminum profiles with galvanized steel frames and stainless steel fasteners. 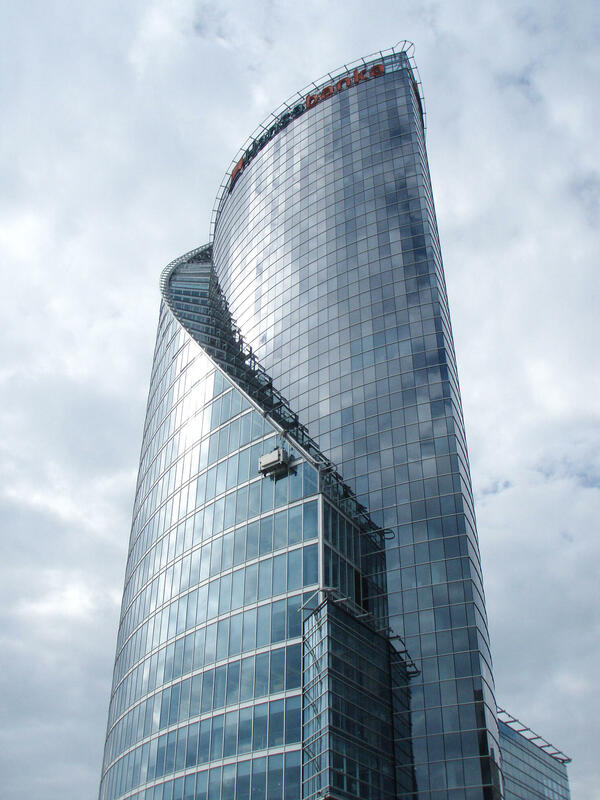 The BMU Cradle is a cost effective option for facade access. Especially when there is limited rooftop space the BMU cradle with one of the Rostek suspension alternatives is the best option. In addition to international standard requirements we offer a variety of optional details for improved efficiency. 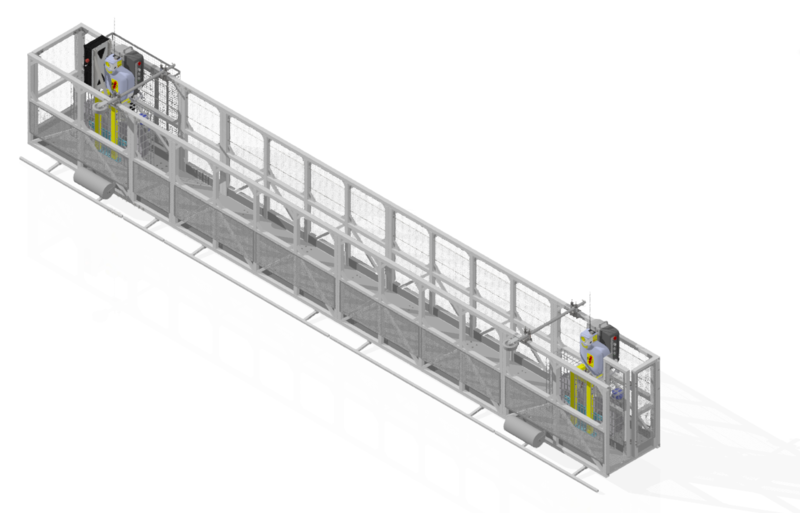 Our 1-Hoist BMU Cradle for one person is designed to access smaller areas of facade where it would be difficult or impossible to fit our larger 2-Hoist BMU Cradle. The best solution when there is need for especially long platforms. Designed to be used with Rostek Davits, the Modular Suspended Platform can also be installed to any existing structure. Rostek Modular Suspended Platforms can be extended up to 40 feet (12 metres), which makes it easy to access wide areas of a facade in one go. The length of the platform can be easily modified to lengths between 5 and 40 feet.